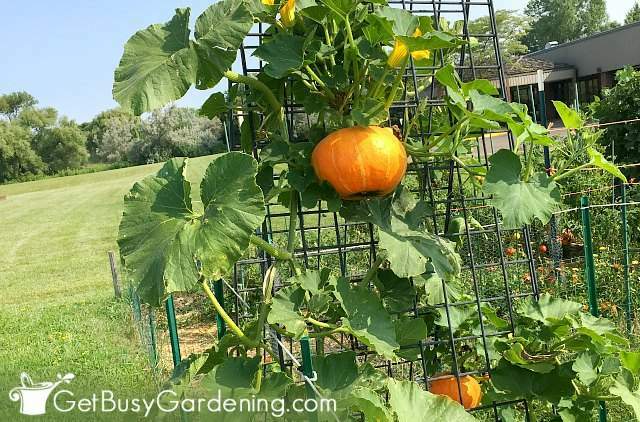 Trellising squash not only looks amazing, it’s also a great space saver. 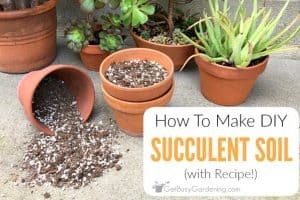 In this post, I’ll show you exactly how to grow squash vertically, give you tips and techniques for training squash vines, tell you the best types of climbing squash to grow, and how to choose the right plant supports for them. Squash grown on the ground can quickly overtake a small garden plot, and many home gardeners don’t have enough space for them. Even so, some people are too nervous to grow squash vertically because they worry the vines are too large and heavy. But the good news is that any type of climbing squash plant can be grown vertically! Growing squash on a trellis or other vertical structure helps to keep this bully from taking over your vegetable garden. And that means that even those of us with small garden plots can grow squash! 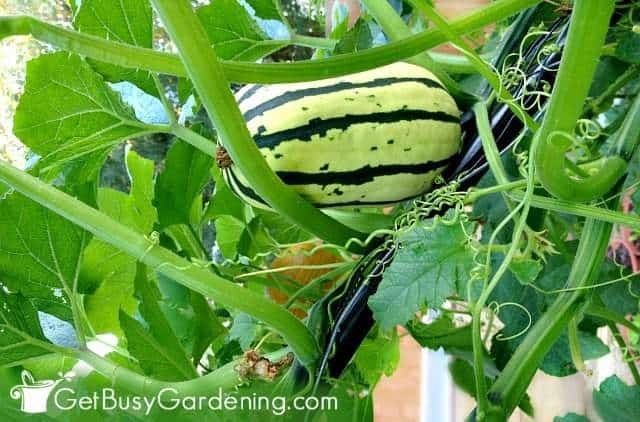 Trellising squash makes controlling the unruly vines super easy, and it looks pretty amazing too. These fast-growing climbers will quickly cover a vertical structure, and the squash look so cool hanging down. Here’s what you’ll find in this guide to growing squash vertically. Click the links to skip to the section you’re most interested in. 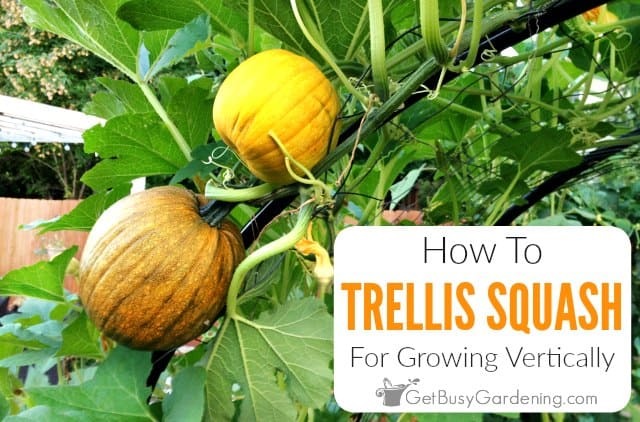 Or keep reading to learn everything you need to know to successfully trellis squash in your garden! Is Squash A Vine Plant? Does Squash Need To Be Grown Vertically? 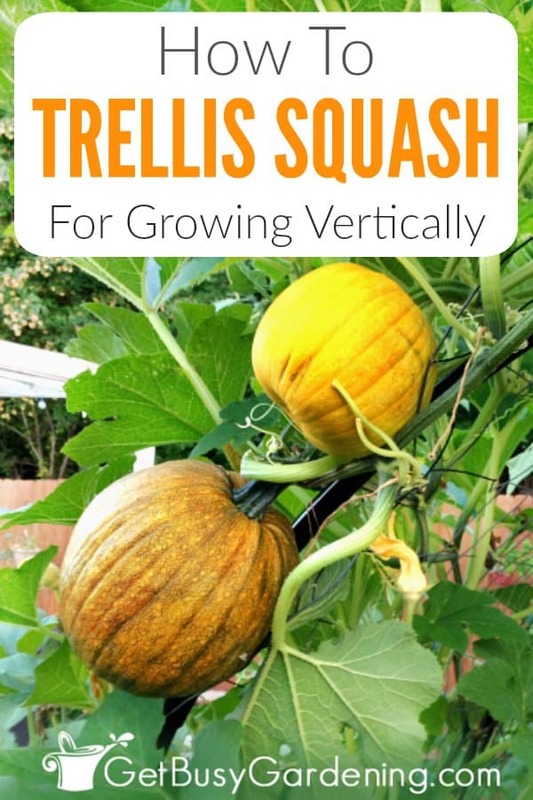 Before you decide whether growing squash vertically is something you want to try in your garden, it’s important to understand that not all types of squash will make good trellis plants. Very broadly, there are two different types of squash plants: vining varieties and bush varieties. Vine squash varieties will grow on a trellis, and bush types (sometimes called patio plants) will not. So, it doesn’t matter whether you want to grow summer squash or winter squash, pumpkins or gourds. From butternut to spaghetti, kabocha to acorn – any kind of squash can be grown vertically as long as it’s a vining variety. No, squash does not need to be trellised. Climbing squash varieties will grow just fine along the ground without any support, and many gardeners grow them that way. However, most vining squash grow very large, and can take over the garden pretty quickly. 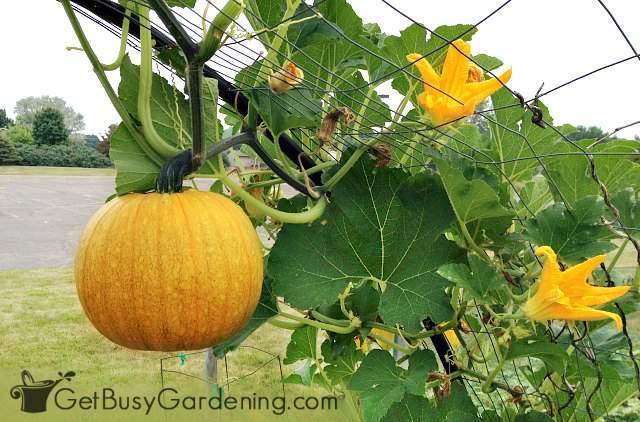 Trellising squash is the best way to contain these large vines, and keep them from growing wild. Any type of vining squash can be grown vertically. But it’s important to keep in mind that the largest climbing squash varieties (like huge pumpkins and gourds) grow very long and heavy. In fact, some of these giant vines grow so large that farmers have found pumpkins growing in the tops of trees! So be sure you know how tall the plants will grow before you start planning your vertical squash garden. Those monster vines I mentioned are not very practical for vertical gardening, and are best grown in large garden plots or farm fields. Not only does it look gorgeous to trellis squash, it’s also beneficial for the plants and your crop. 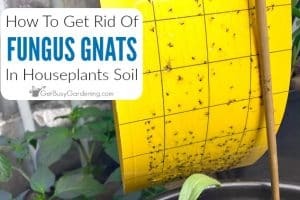 Getting the vines and fruit up off the ground can protect them from pests and disease issues. Squash sitting on the ground can easily be eaten by bugs or animals. 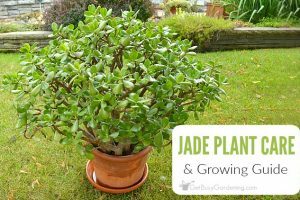 Plus, when soil splashes up on the leaves, it causes problems with fungus and disease. Trellising squash also means your crops will be cleaner, and they won’t have an ugly yellow spot on them (which is what happens when squash lays on the ground). Like I mentioned above, there are two basic types of squash plants: vining varieties that will grow on a trellis, and bush varieties that won’t. By now you may be wondering how the heck can you tell the difference? Well, you can’t tell by just looking at the seeds or the seedlings. So be sure to always check the seed packet or plant tag to know for sure. A few of my favorite types of vining squash to grow vertically are Sugar Pie Pumpkins, Butternut Squash, Jack Be Little pumpkins, and Delicata Squash. There’s no doubt that trellising squash is not only beneficial, it’s beautiful too! Choosing the right support will not only add an architectural element to your garden, it will ensure your squash will grow safely, and look it’s best. The most important things to think about when choosing a support for climbing squash are the height and strength of the structure. Before you decide what type of support to use, you should know how large the squash plants will get in order to pick the perfect vertical growing structure for them. How Big Do Squash Plants Get? The height of vining squash plants varies greatly, and it totally depends on the variety you choose to grow. A good rule of thumb to remember is… the smaller the fruit, the shorter the vine. Squash vines can grow anywhere from 3-4′ long, all the way up to 20+ feet tall. Like I mentioned above, the largest vining squash (like giant pumpkins and gourds) can grow to the tops of trees. So, always be sure you check the plant tag or seed packet so you know how tall your squash will grow. That way you can pair each type of vine with the perfect growing structure. Once you know how tall your squash vines will grow, that will make it much easier to choose the right type of growing support for them. Climbing squash need to be grown on large, strong supports that can handle their weight. The vines will become very heavy once the fruit starts to mature. So, if you plan to grow squash vertically, be sure to use a strong support for it. A large structure like an arbor, a heavy-duty a-frame trellis, or a pergola would be good choices for the larger vines. 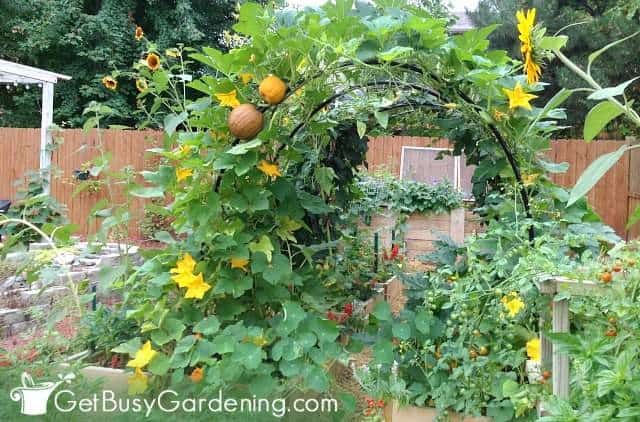 If you prefer a DIY project, try making your own squash arch. Smaller vines can be grown on a strong trellis, a smaller a-frame, or even a lean-to style squash support. That way, you can grow shorter crops like salad greens or radishes underneath it. When I talk about trellising squash, one common question I get is “How do squash grow vertically?”. Excellent question! The vines themselves don’t wrap around the trellis. 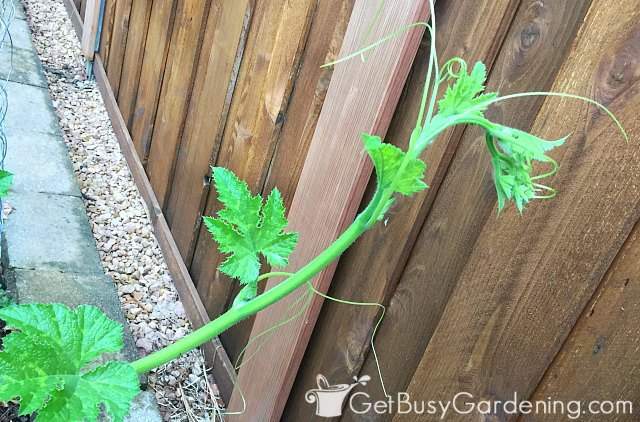 Squash vines grow side shoots that are called tendrils. It’s these tendrils that will wrap around anything they touch, including a vertical growing support. A common concern that people have when growing squash on a trellis is that the fruits will grow too large and rip from the vine. It’s true that large squash hanging down from the plant may need extra support so the weight doesn’t damage the vine. You can make a hammock out of an old t-shirt or pantyhose, then tie it to the trellis to loosley cradle the dangling squash to support their weight. In all the years I’ve been growing squash vertically, I’ve never had to give any of the hanging squash any extra support. But it’s definitely something to keep in mind if you plan to grow larger types of squash, like gourds or pumpkins. Another common question I get asked is “Do squash plants climb a trellis?“. The short answer is yes, but… in all honestly, squash really aren’t great climbers by themselves. Gravity is fighting us, and the heavy squash vines prefer to sprawl out horizontally rather than grow vertically (they are a bit lazy that way I guess). So you will definitely need to train the vines to grow on a vertical structure. Don’t worry, it’s not difficult, it just take a bit of extra planning. To train unruly squash vines, you can simply weave or tuck them into the trellis support as they grow. The tendrils will eventually grab onto the trellis. Be careful though, young vines are very delicate. Since squash is so heavy, you will likely need to tie the vines to the support. I recommend using plant clips or cut-a-size twist ties since they are easy to remove and reuse. But you could also use flexible plant ties or twine if you prefer. Just be sure to tie the vines on loosely so they won’t get strangled as they grow thicker. 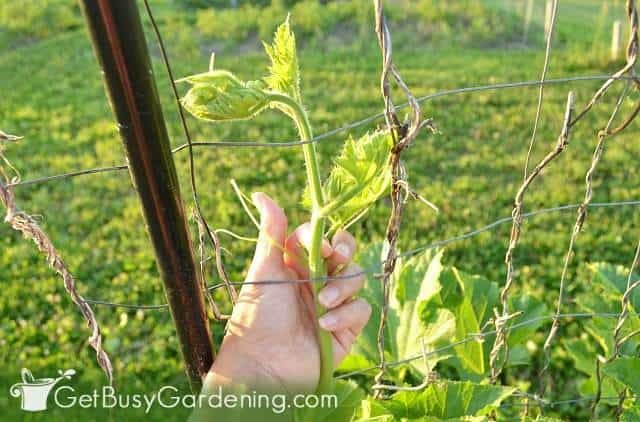 Once the tendrils grab onto the trellis on their own, you can remove the clips or ties and then reuse them to attach the new growth higher up on the trellis. They grow fast in the heat of summer, so check them every few days and train new growth as needed to keep your squash growing vertically. Growing squash vertically is beneficial to the plants and to your garden. Trellising squash means that even gardeners with small spaces can grow these large vines in their garden. Plus, since vertical squash looks so gorgeous, it really makes a statement in the garden! 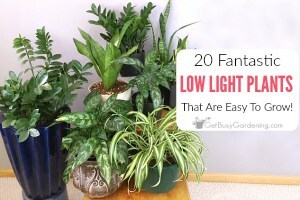 Want to learn how to grow even more of your vegetables vertically? 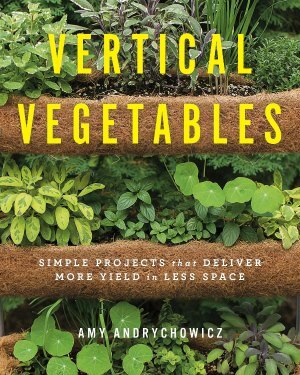 Then you need my brand new book, Vertical Vegetables: Simple Projects That Deliver More Yield In Less Space! 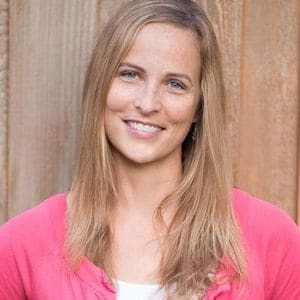 In it you will learn all about vertical vegetable gardening and get detailed step-by-step instructions for nearly two dozen beautiful DIY projects and trellises that you can build! Order your copy today! Share your tips for trellising squash, or tell us how you prefer to grow squash vertically in the comments section below. today I finished my squash arch using the very nice instructions on the PDF file from your site. Rather than threading the PVC through the wire fencing I used nylon cord from my big-box store to tie the fence to the PVC ribs. We’ll see how strong that is when the vines start to grow up the trellis. I have pictures on my Facebook page. Yeah, that’s great to hear! Sounds like you made a great modification, hope it works for you! I would love to see the photos. My cantaloupe just started up. Making an arch this weekend to see if they will grow on it rather than all over my garden. Will do the same with Acorn squash when it goes in at the end of July. Zucchini plants don’t usually vine out very much, they tend to grow in a more bushy form. So, the zucchini probably won’t grow up the arch like other varieties of squash would. My favorite varieties of squash to grow on the arch are Sugar Pie Pumpkins, Butternut and Delicata squash. Those vine out better, and will quickly cover the arch. Last year, on a whim I put a leftover tomato cage over a zucchini bush. Best. Idea. Ever! It trained the zuke completely upright and the zucchini grew nicely from the middle also sticking straight up. Stayed clean, no bugs, easy to spot them, no “surprise” giant zukes. Awesome, sounds like a great idea for bush varieties! Not sure what kind of zucchini plants you grow but last year by the end of summer my several zucchini vines, from one plant, were six feet long and laying all over the place. My current zucchini is already reaching out in several directions. What variety do you grow? First year trying the arch. I have zucchini and early summer squash. I’m using lattice for my arch and vines are still to short to train ( stuff grows slower in Montana). Do you think the lattice will work? I think the lattice will work fine, as long as it’s sturdy enough to hold the weight of several squash. The vines can get pretty heavy when they’re full of squash. Zucchini plants don’t usually vine out very much, they tend to grow in a more bushy form. So, the zucchini probably won’t grow up the arch like other varieties of squash I have listed above would. How many plants are growing at the bottom of each side of your arch? A couple plants on each side. I was wondering if you can use poultry netting instead of the larger holed fencing that you show. Will the vines still be able to attach to the 1″ or 3/4″ openings of the poultry netting? Thank you. I’m not exactly sure what poultry netting is, but if it’s like chicken wire… then it could work. But no, the posts won’t fit through the small holes in chicken wire. Actually, now that I think about it more… chicken wire wouldn’t work because it’s not rigid enough to keep the arch from collapsing.